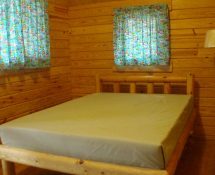 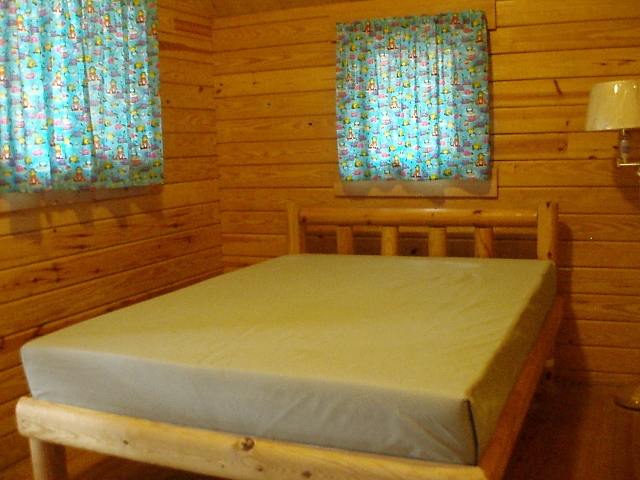 This cozy, insulated Rustic Amish Cabin has knotty pine interior and sleeps 4. 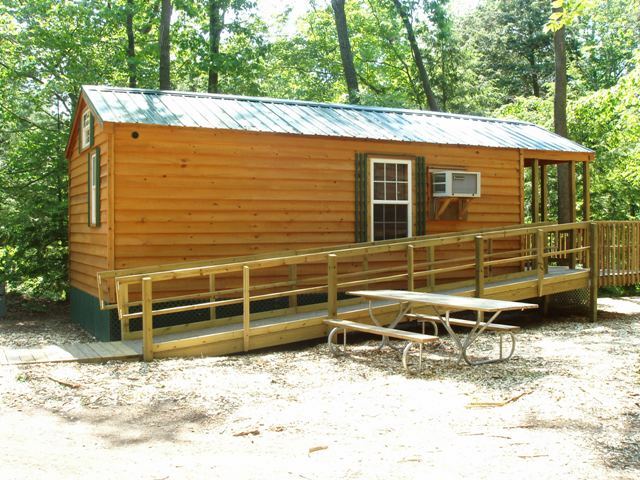 It sits on a wooded site with rolling terrain and overlooks the fishing pond. 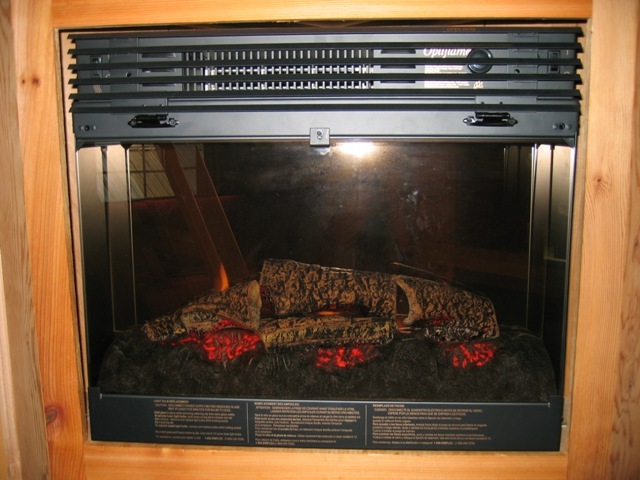 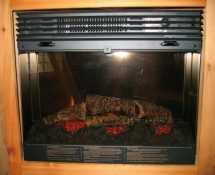 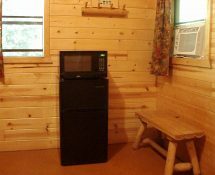 Refrigerator, Microwave, Air Conditioner, Heater, Railed 4′ Porch with Adirondack Chair. 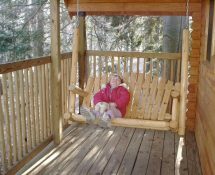 Water Spigot, Picnic Table, Fire Ring, Adjustable Grill. 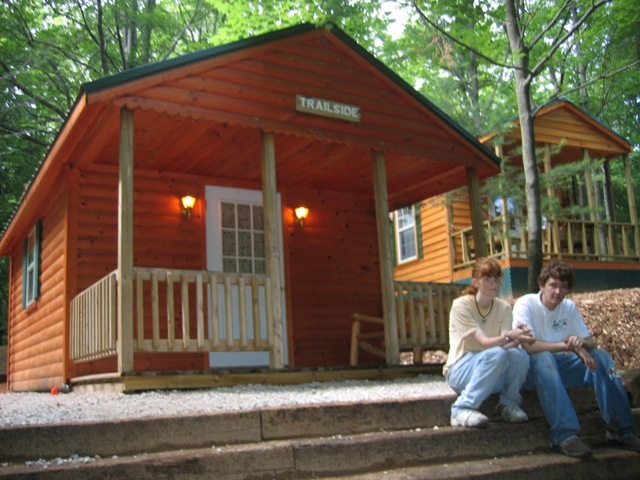 On-Site Parking. 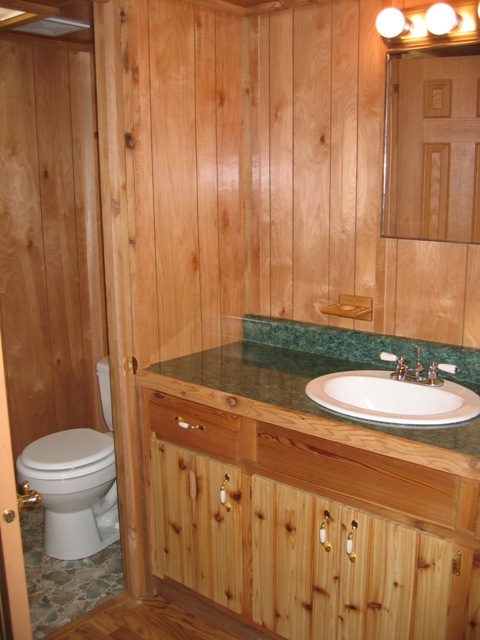 Near Restrooms with Showers. 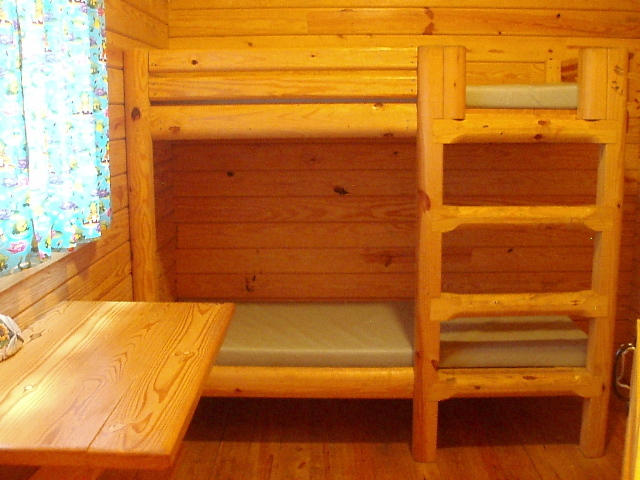 Double Bed, Bunk Beds, Shelf Table, Bench. 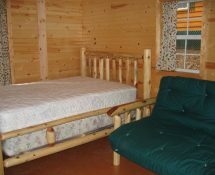 Bedding, Linens, Outdoor Cookware, Toiletries. 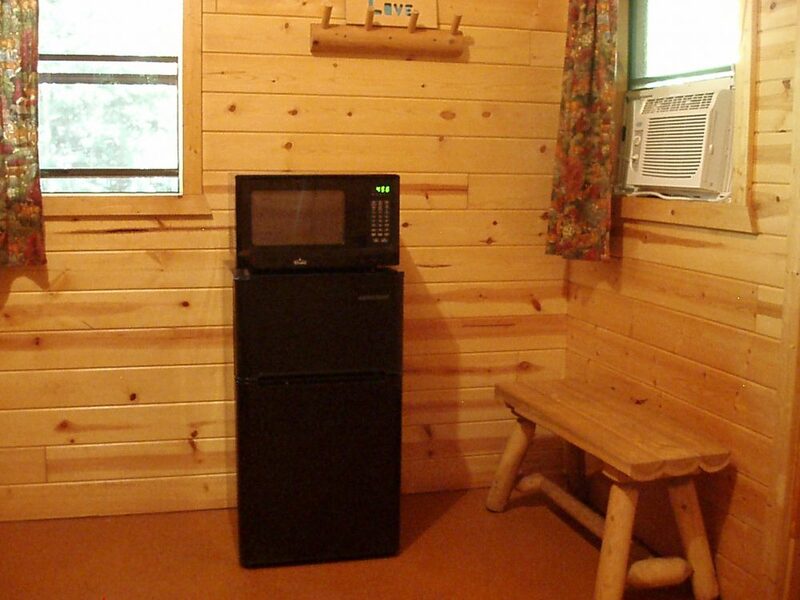 Please, No Smoking, Cooking, or Pets in Cabin. 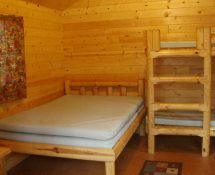 This Rustic Conestoga 2-Room Cabin, with 1/2 bath, sleeps 6 and is perfect for larger families or those seeking a little extra space. 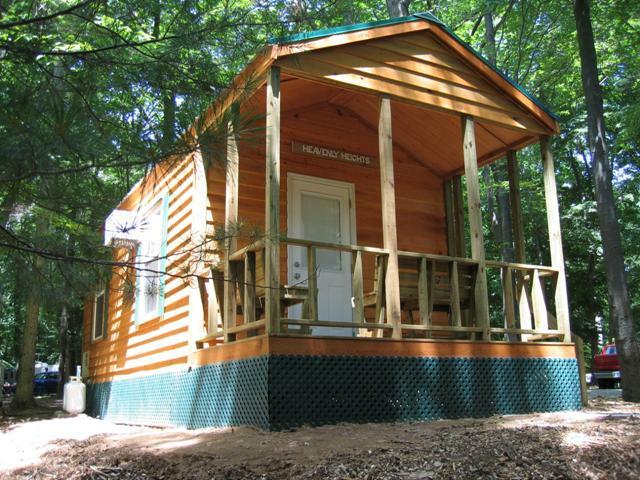 It sits on a wooded site with rolling terrain and overlooks the fishing pond. 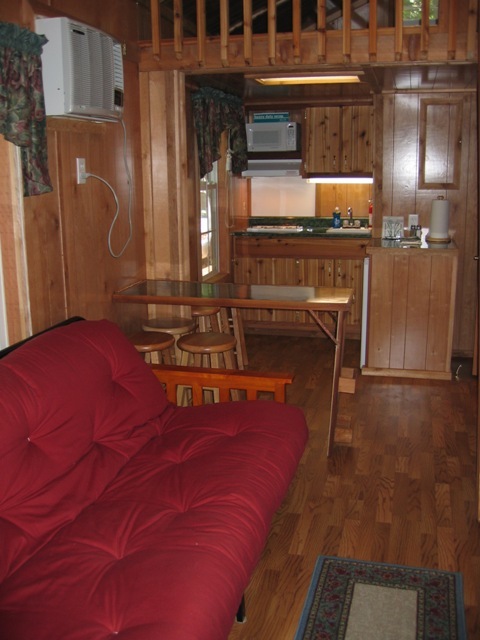 Half-bath, Fans, Heater, Refrigerator, Microwave, Railed 6′ Porch with Swing. 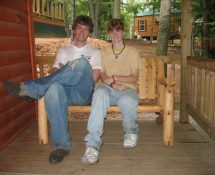 Picnic Table, Fire Ring, Adjustable Grill. 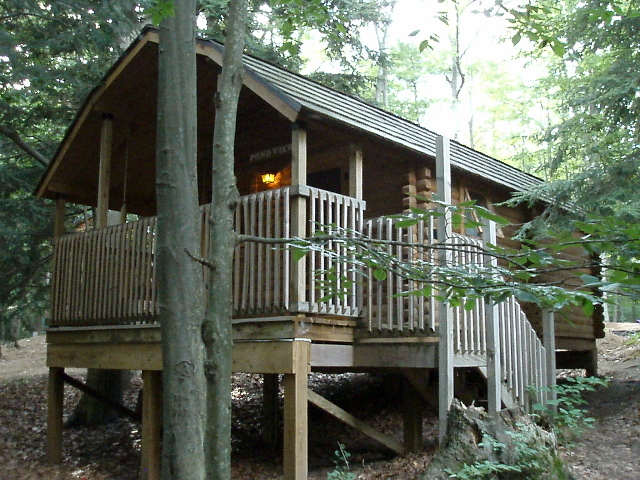 On-Site Parking. 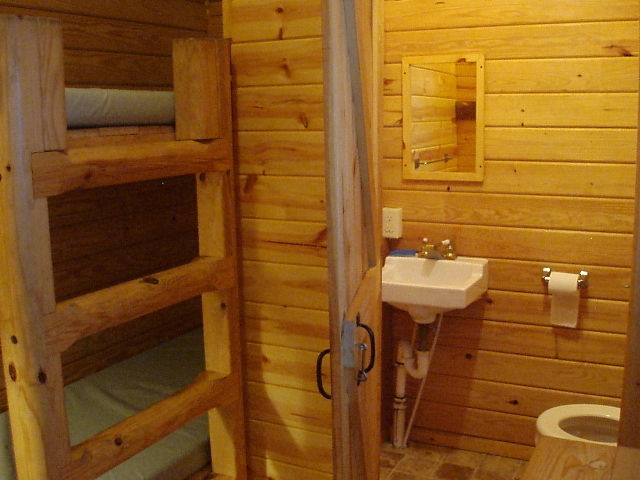 Near Restrooms with Showers. 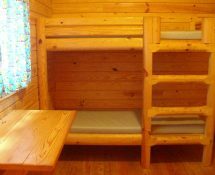 Double Bed, Bunk Beds, Shelf Tables, Benches, Porch Swing. 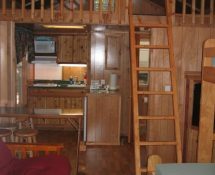 Please, No Smoking, Cooking or Pets in Cabin. 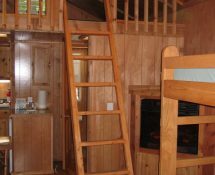 This cozy, insulated Amish Rustic Cabin has knotty pine interior, sleeps 5 and features hand-carved log furniture and storage loft. 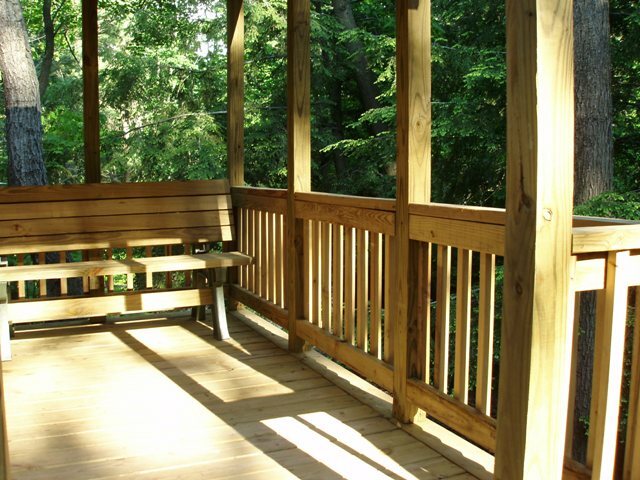 It sits on a terraced wooded site overlooking the fishing pond. 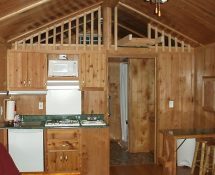 Refrigerator, Microwave, Air Conditioner, Heater, Storage Loft, Railed 6′ Porch with Bench. 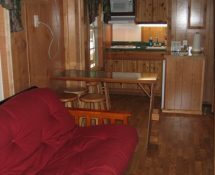 Water Spigot, Picnic Table, Fire Ring, Adjustable Grill. 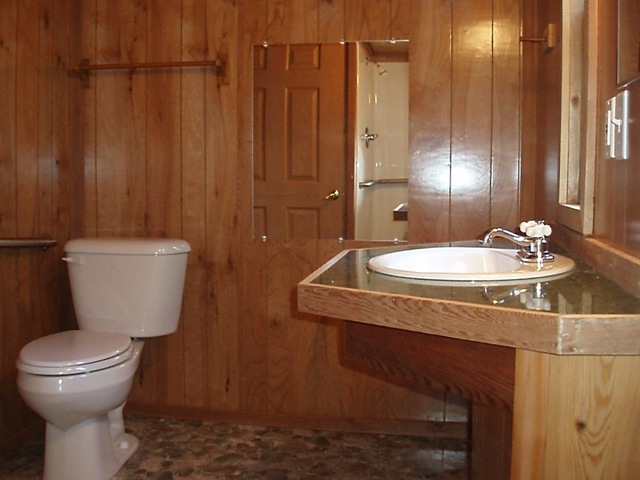 On-Site Parking. 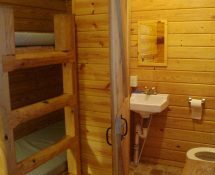 Near Restrooms with Showers. 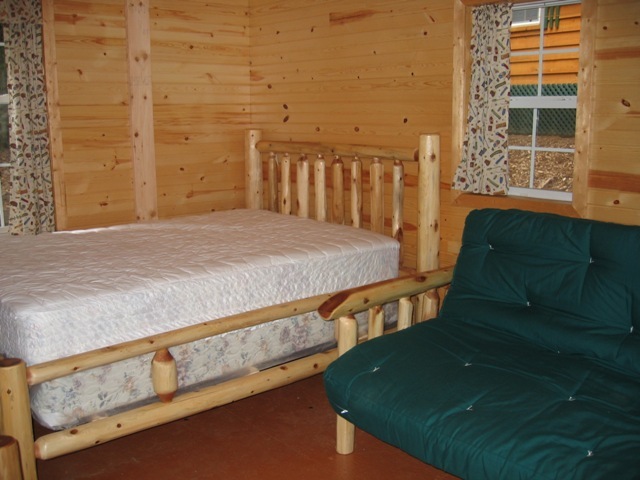 Double Bed & Single Bed (with inner-spring mattresses), Futon, Shelf Table, Bench. 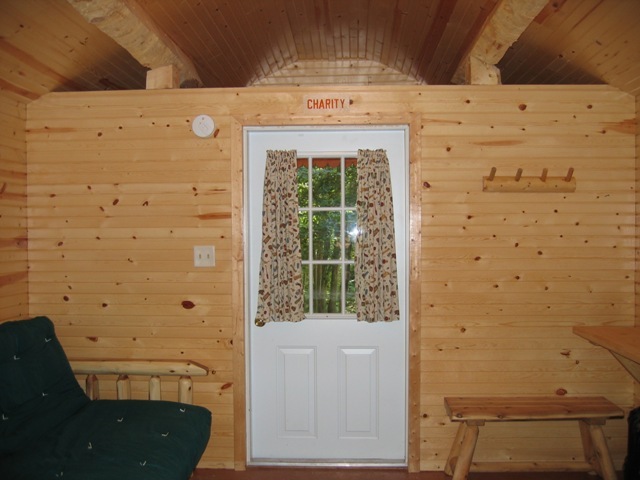 Please: No Smoking, Cooking or Pets in Cabin. 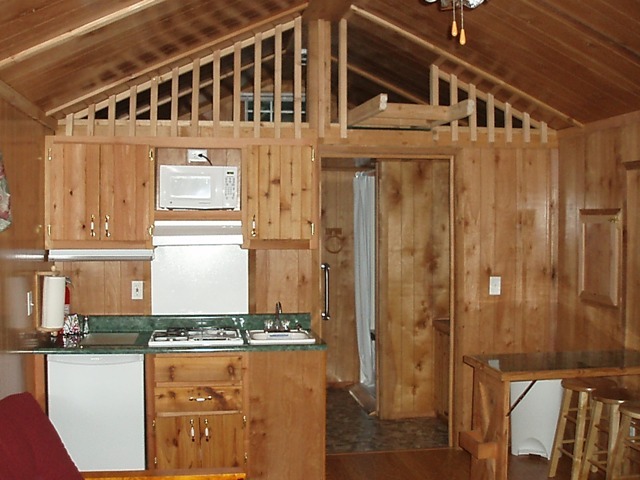 This Full-Service Park Model Cabin features a Loft and sleeps 5-8. 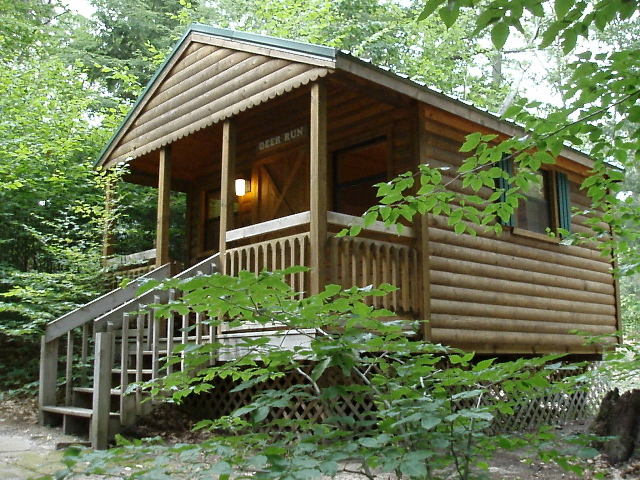 It sits on a wooded site near neigboring cabins, overlooking the fishing pond. 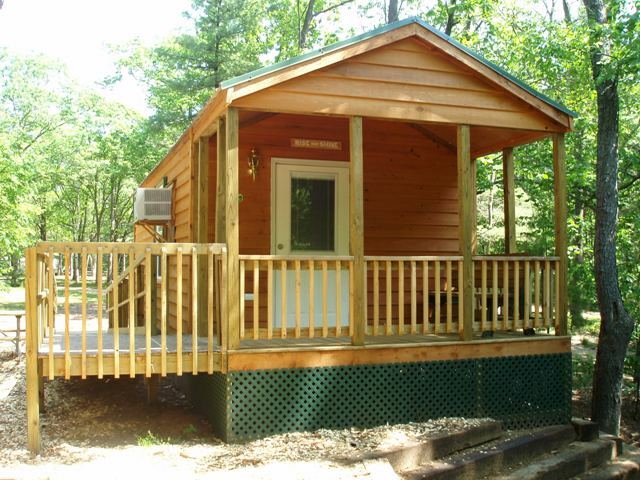 Kitchenette, 3/4 Bath with Shower, Air Conditioning, Electric Fireplace, Sleeping Loft, Railed 6′ Porch with bench. 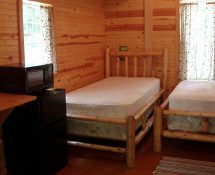 Double Bed with Single Bunk above, Futon, Carpeted Loft, Air conditioning, Fireplace, Fold-down Table & Stools, Microwave, 2-Burner Gas Stove, Dorm-Sized Refrigerator, Coffee Pot, Pots & Pans, Dishes & Tableware. 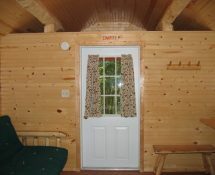 Please, No Smoking or Pets in Cabin. 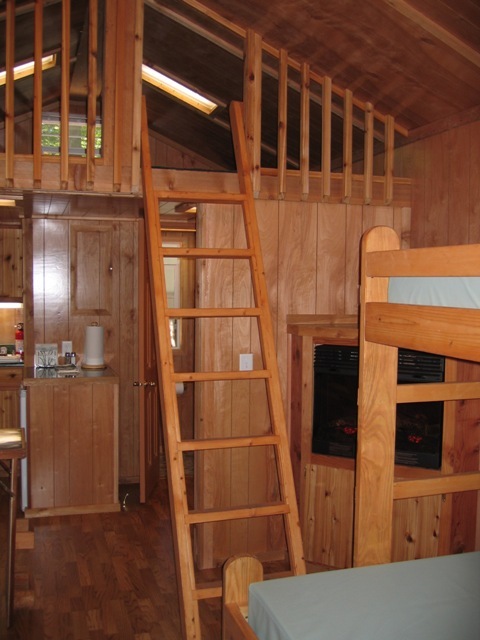 This Full-Service Park Model Cabin Features a Loft and sleeps 5-8. 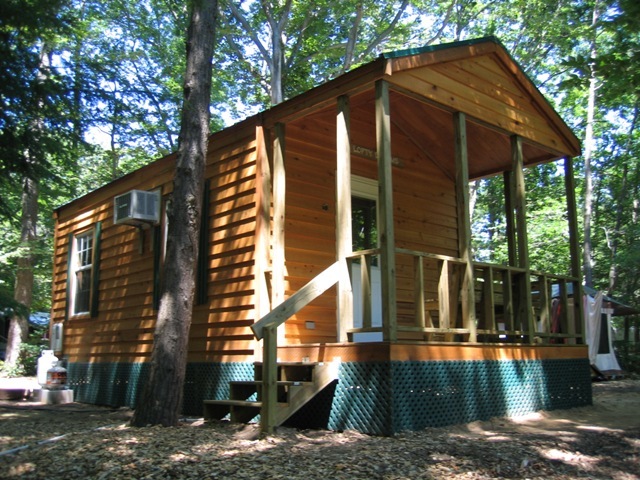 It sits on a wooded site near neighboring cabins, overlooking the fishing pond. 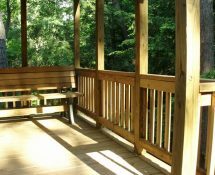 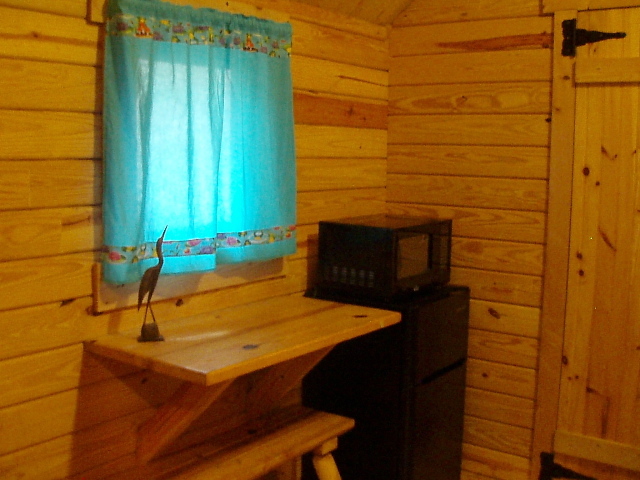 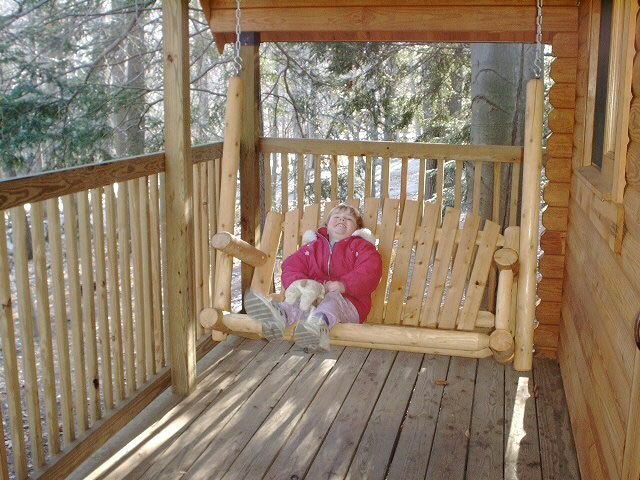 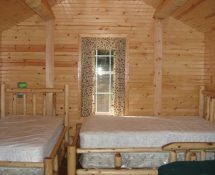 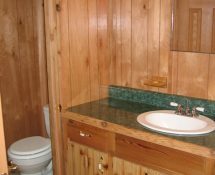 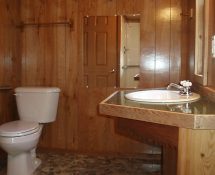 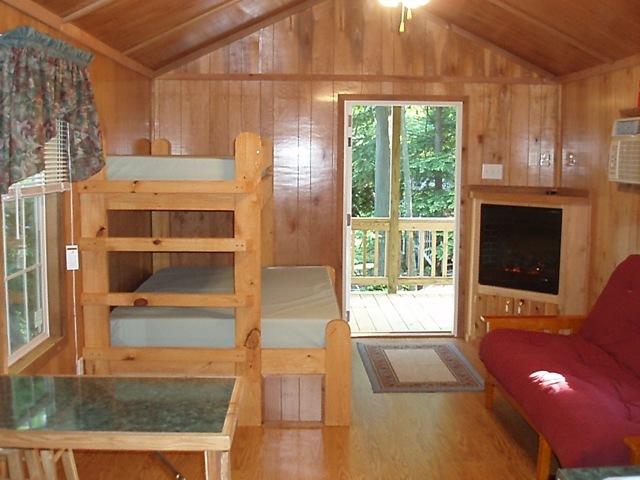 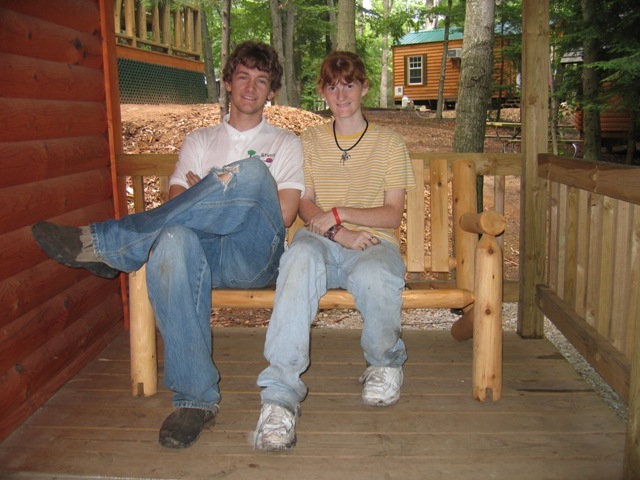 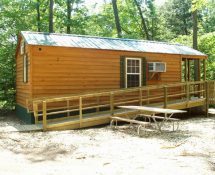 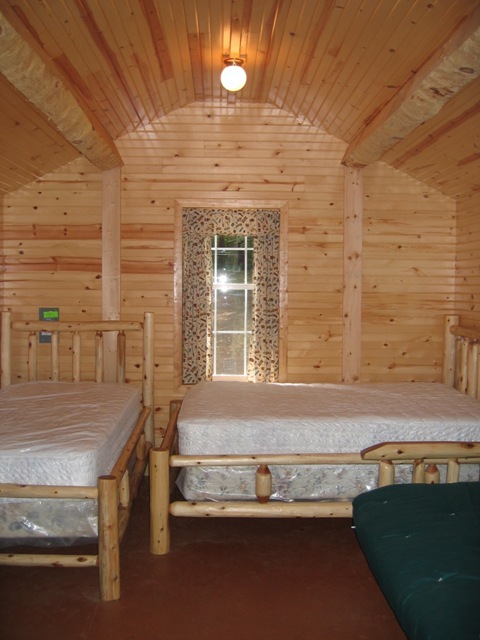 This Full-Service Park Model Cabin is Wheelchair Friendly, features a spacious interior, small Loft and sleeps 5-7. 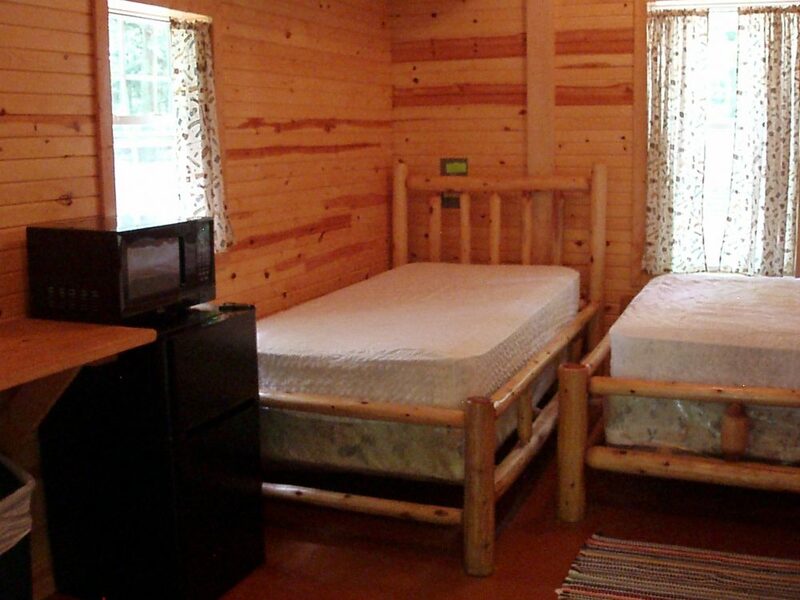 It sits on a terraced wooded site near neighboring cabins, overlooking the fishing pond. 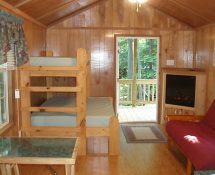 Ramp, Kitchenette, Accessible Bathroom with Shower, Air Conditioning, Electric Fireplace, Sleeping Loft, Railed 6″ Porch with Bench. 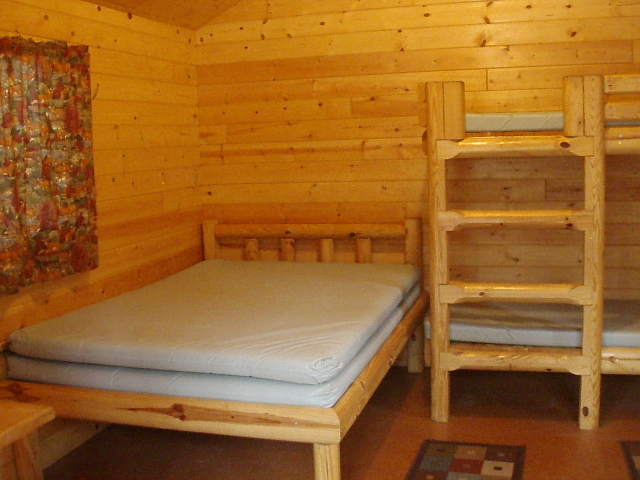 Larger interior floor space accommodates a “Pack n Play” for small children. 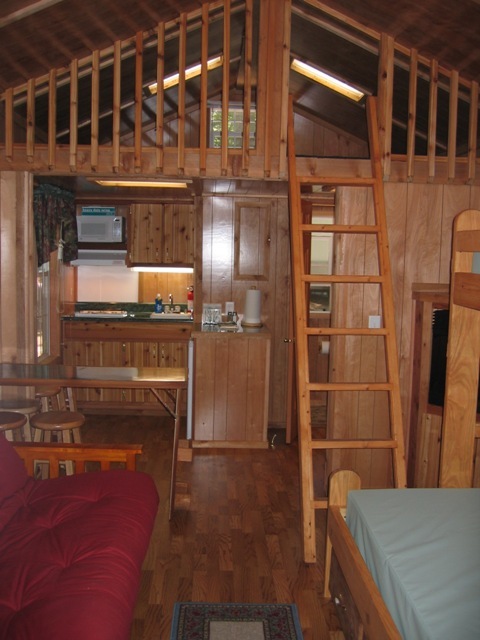 Double Bed with grab bars and Single Bunk above, Futon, Carpeted Loft, Air Conditioning, Fireplace, Fold-down Table & Stools, Microwave, 2-Burner Gas Stove, Dorm-Sized Refrigerator, Coffee Pot, Pots & Pans, Dishes & Tableware.